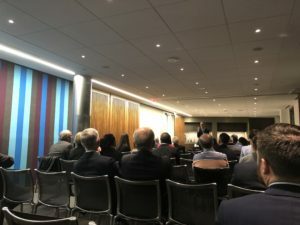 On the evening of October 30, 2018, more than 20 alumni from the Johns Hopkins University gathered together on the 11th floor of Morgan, Lewis & Bockius LLP in Washington, D.C. to hear about the research and discovery happening at JHU by Dr. Denis Wirtz, the Vice Provost for Research at Johns Hopkins University. JHU alumni came together to discuss the collaborative nature of science at Hopkins, which brings together people from different perspectives ranging from physicists and chemical engineers such as Dr. Wirtz himself to pathologists and bench scientists to work towards understanding complex biological phenomenon such as cancer metastasis. The synergy between different perspectives is what makes Hopkins a mixed hub for scientific progress. 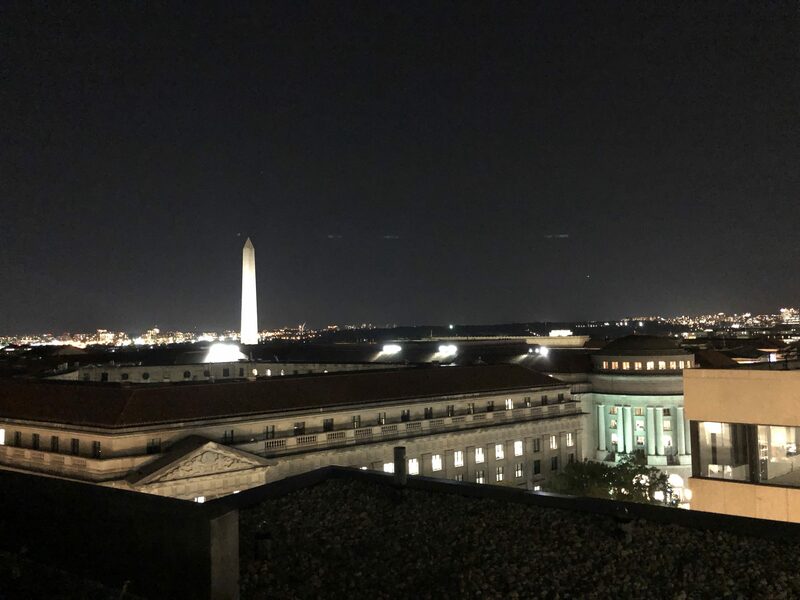 After the talk by Dr. Wirtz, the alumni participated in a lively discussion about collaboration and cancer metastasis ending the night with a renewed appreciation for teamwork on the backdrop of downtown DC. 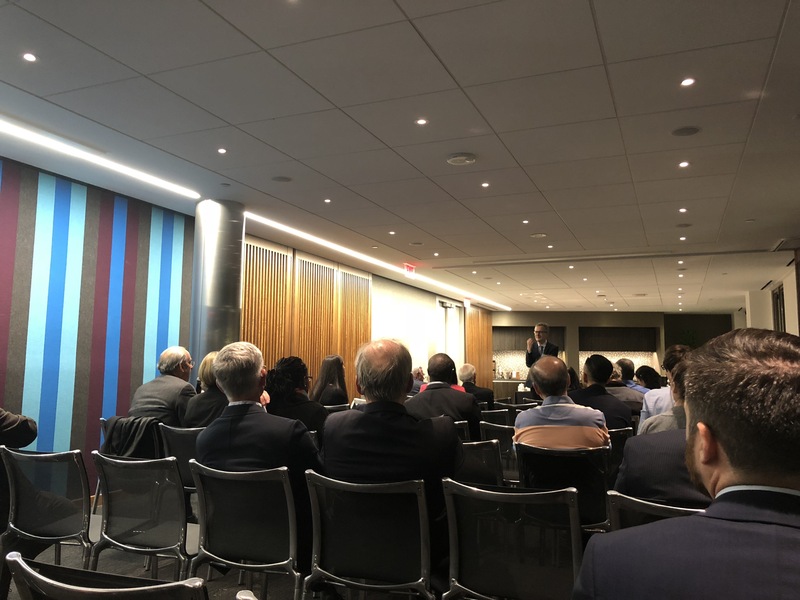 The event represents mostly the Johns Hopkins Health Care and Biotech Affinity Group alliances with at the Alumni Association. HBN executive members Danielle Bouchard and Eva Shrestha helped with the event as part of a collaboration between the affinity groups and HBN.